Hepatitis is an inflammation of the liver usually caused by viral infection, but which may also develop from a number of other causes including parasites, bacteria, toxic agents, various drugs, and alcoholism. Occasionally, hepatitis may also be the result of an autoimmune dysfunction that leads the body to attack the cells of the liver as if they were a foreign substance. 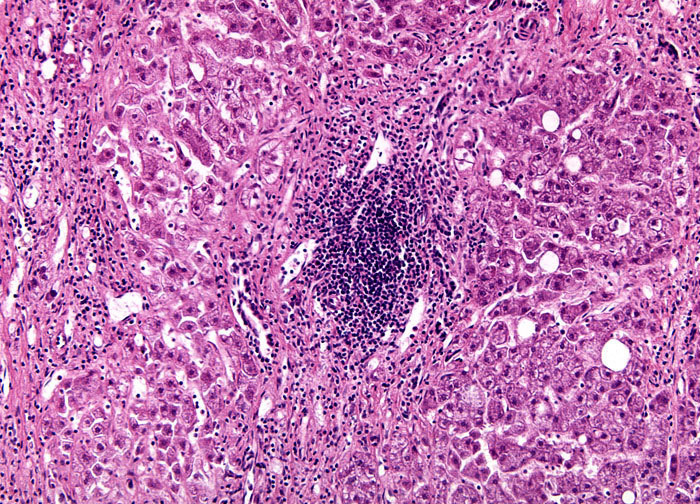 A number of different viruses may instigate hepatitis including Epstein-Barr virus, cytomegalovirus, yellow-fever virus, and seven hepatitis viruses that are only designated alphabetically as hepatitis A, B, C, D, E, F, and G. No matter which virus is responsible for the development of hepatitis, the symptoms are generally the same: abdominal pain, nausea, vomiting, fatigue, fever, and decreased appetite. Some individuals may also experience pain in their joints, a rash, or jaundice, a yellowish discoloration of the eyes, skin, and mucous membranes.